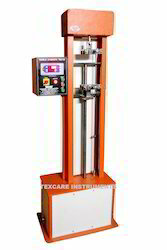 We are one of the leading manufacturer and exporter of Tensile Strength Tester. We are manufacturing Plastic Strength Tester as per International Standard ASTM D 638-10 and ASTM D882-12. These standards are globally accepted by all plastic products manufacturer. 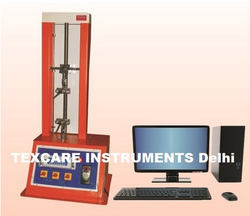 We are manufacturer and exporter of Plastic Tensile Strength Tester as per ASTM D882-12. 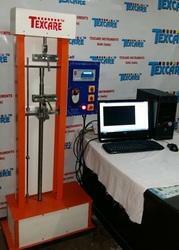 Plastic Tensile Strength Tester is also available in computerized model. In this Plastic Tensile Strength Tester we can measure Tensile, Elongation, Stress Strain curve and plots. We are manufacture of Digital Plastic Tensile Strength Tester as per Standard ASTM D638-10, This Digital Plastic Tensile Strength Tester is used to determine Strength of Plastic in shape of standard Dumbell. Our company has been acknowledged for providing Plastic Tensile Strength Testing Machine to the clients.